We provide highly commendable FRP Installation Services to our clients. The product manufactured by reputed dealers is installed by us at the best price, using modernized equipment. 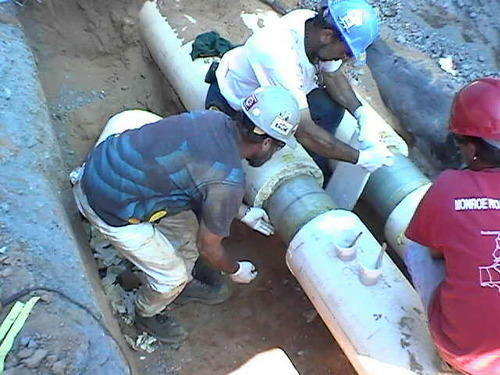 The service includes all aspects ranging from timely delivery, installation and maintenance. This flawless service is made available to clients by some of our highly experienced employees. Established in the year 2010 Sstar Fibre Industries, are considered to be one of the leading manufacturers, suppliers and wholesalers of Fibre Reinforced polymer Products. The product range offered by us is inclusive of products Frp Doors Frp Gutters Frp Rainwater Gutters grp doors frp coating manufacturers Frp Lining frp sheets Frp Tank manufacturers in Chennai. Owing to their rich attributes such as termite resistant, lightweight, leakage-proof, thermal stability, sturdy construction, optimum durability and seamless finish, these FRP products are highly appreciated among our customers. In addition to this, we are engaged in offering Installation of the offered FRP products to our valuable customers. With the aid of skilled technicians and supporting staff, We have been able to render the offer services in the most systematic manner. Backed and supported by a team of skilled professionals, We have been able to cater to the diverse needs of civil construction, spacecrafts, sea, road, rail & air transports, water treatment and chemical industries. They are trained at regular intervals of time, through seminars and workshops, for enhancing their skills in the most efficient manner.